Kobe Bryant has left the United States for an undisclosed medical procedure unrelated to his surgically repaired left Achilles tendon, according to the Lakers. 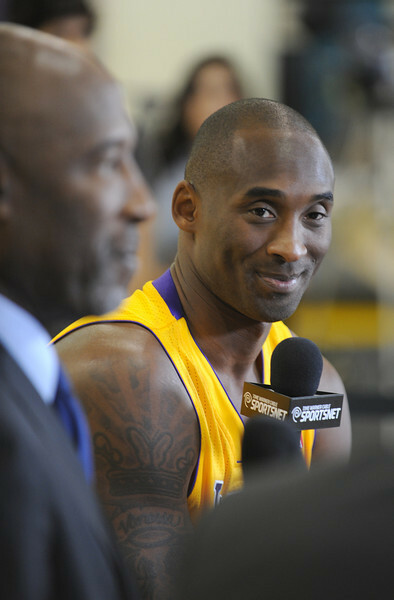 The Lakers wouldn’t divulge which country Bryant is visiting, the procedure or what any additional injury might entail. But they expect him to return early next week. Bryant made some progress Wednesday in what marked the Lakres’ fifth day of training camp by participating in light jogging and set-shooting. But the Lakers haven’t released any timetable on when they expect Bryant to return, including any of the Lakers’ eight preseason games through Oct. 25 and the season opener Oct. 29 against the Clippers at Staples Center.